ضمن حملة “لون جدار شارعك 2012. تصوير: Mohammed Huwais، الوكالة “الفرنسية”. 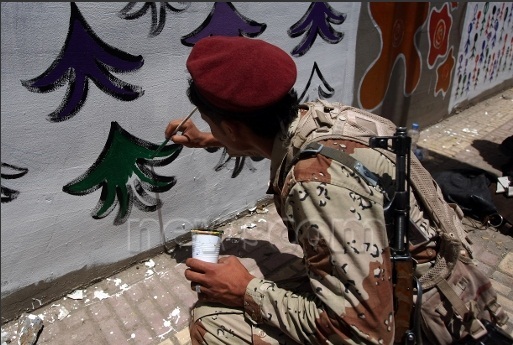 Yemeni soldier paint, during “Color your street’s wall” graffiti campaign 2012.